The go kart in action on the Rattlesnake Canyon track. 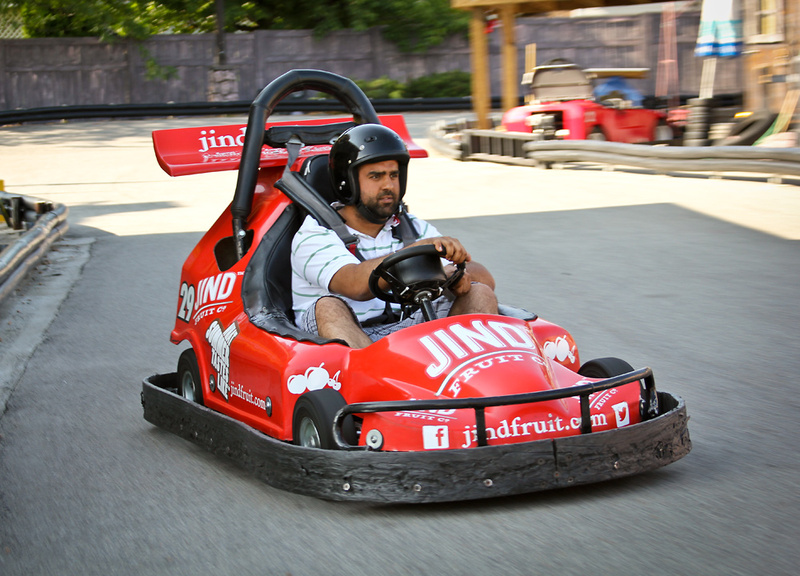 It’s not every day you get to do a fun job like this go kart… Jind Fruit wanted to do some low-key local advertising in their hometown of Osoyoos, BC — and what better way to get delicious fruit into people’s minds than when they’re watching the go karts at Rattlesnake Canyon amusement park? This juicy looking go kart really lives up to Jind Fruit’s What Summer Tastes Like™ tagline. Jind Fruit branded graphics appear on the bonnet, sides and rear spoiler. The go kart is one small part of the re-branding of Jind Fruit including a new logo, stationery, website, complete packaging line and collateral like the Buyers Guide. Jind Fruit Co. is a third-generation independent fruit grower in Osoyoos, BC. A spring 2011 re-launch of the reinvigorated brand started Tugboat Group’s involvement with this innovative brand. Side view and top-down view of the rear spoiler that features their URL and sub-brand logos of their produce range. 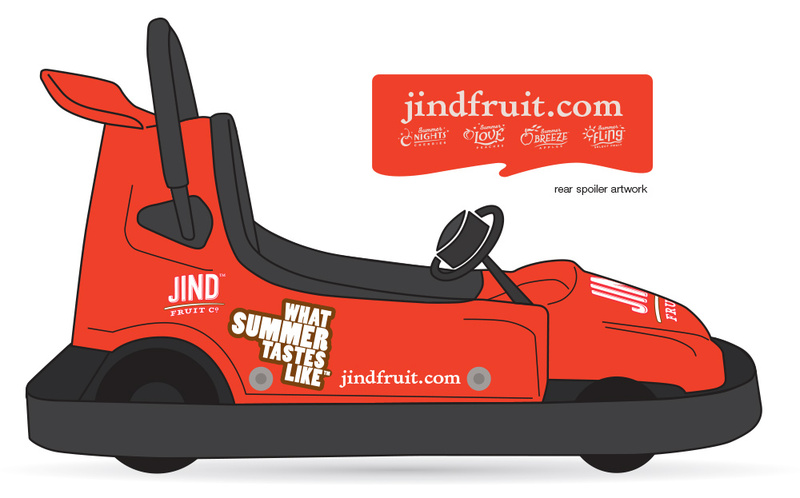 Concept drawing of the Jind Fruit go kart. See also Jind Fruit Packaging and Jind Fruit Buyer’s Guide. All work copyright Tugboat Group, Jind Fruit Co., and their respective owners.